Don't miss this Southside investment opportunity. 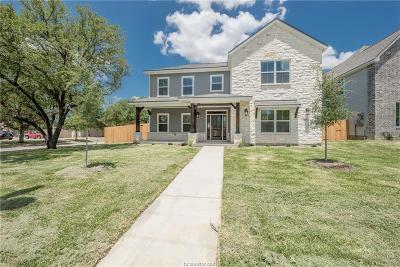 The spacious 5 bedroom, 5.5 bath home is located a few blocks to Kyle Field! Preleased through July 31, 2020, this one of a kind property features granite counter tops throughout, wood tile flooring, all bedrooms have private bathroom, 2 laundry rooms (one upstairs and one down), huge kitchen with oversized island, large covered patio, 2 refrigerators, walk-in pantry, large backyard, ample storage and more!